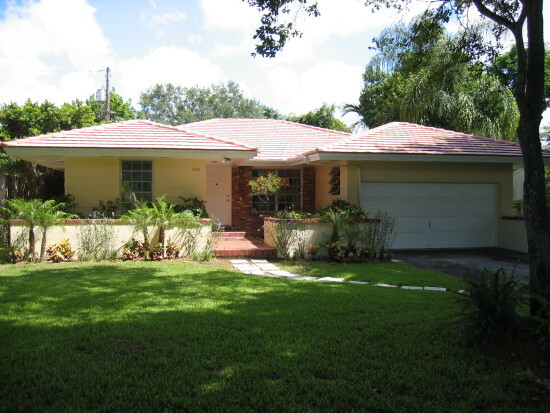 Just listed for rent in Coral Gables is the great home located at 1515 Palancia Avenue. This centrally located home is within minutes of the University of Miami and is ideal for families. The three bedroom home is set on a 6,000 sq. ft. lot, providing lots of room and a covered screened patio out back for entertaining. The home has pergo flooring throughout, a two car garage, and new kitchen appliances. Contact me today for a private viewing of this home. Wonderful single family home now listed for rent in Coral Gables. Excellent location, within minutes to UM. Home is a 3 bed/2 bath with a two car garage and wood floors. The 11,000 sq.ft lot gives this home plenty of yard space and lots of room perfect for children and a family.